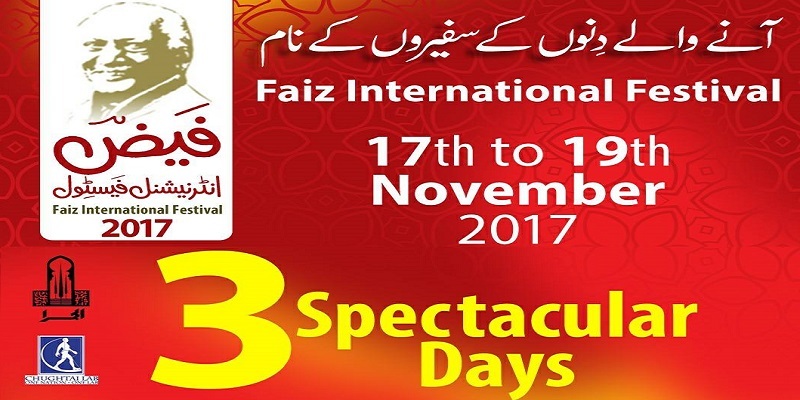 Stay tuned for upcoming events for Faiz International Festival in near future. Faiz International Festival, an amalgamation of Music, Art and Literature. It brings for you Theater Performances, Musical Evenings, Film shows, Art Exhibitions, Discussions, Folk nights and much more. Faiz Ahmad Faiz MBE, NI, Lenin Peace Prize was a Pakistani intellectual, revolutionary poet, and one of the most celebrated writers of the Urdu language, having been nominated four times for the Nobel Prize for literature. Faiz also wrote poetry in the Punjabi language. A notable member of the Progressive Writers' Movement (PWM), Faiz was an avowed Marxist, for which he received the Lenin Peace Prize by the Soviet Union in 1962. Major literary works: Naqsh-e-Faryadi (1943), Dast-e-Saba (1952), Zindan-Nama (1956), Dast-e-Tah-e-Sung (1965), Mere Dil Mere Musafir, Sar-e-Wadi-e-Sina. All these have been combined as one book Nuskha Haa-e-Wafa. Best Viewed at 1024 x 768 pixels and above. This Page loaded in 0.11496 seconds on Tue, Apr 23, 2019 (20:55).